Sweet gourmet delights for a fantastic gift. They come packed in a basket and look just as good as they taste! 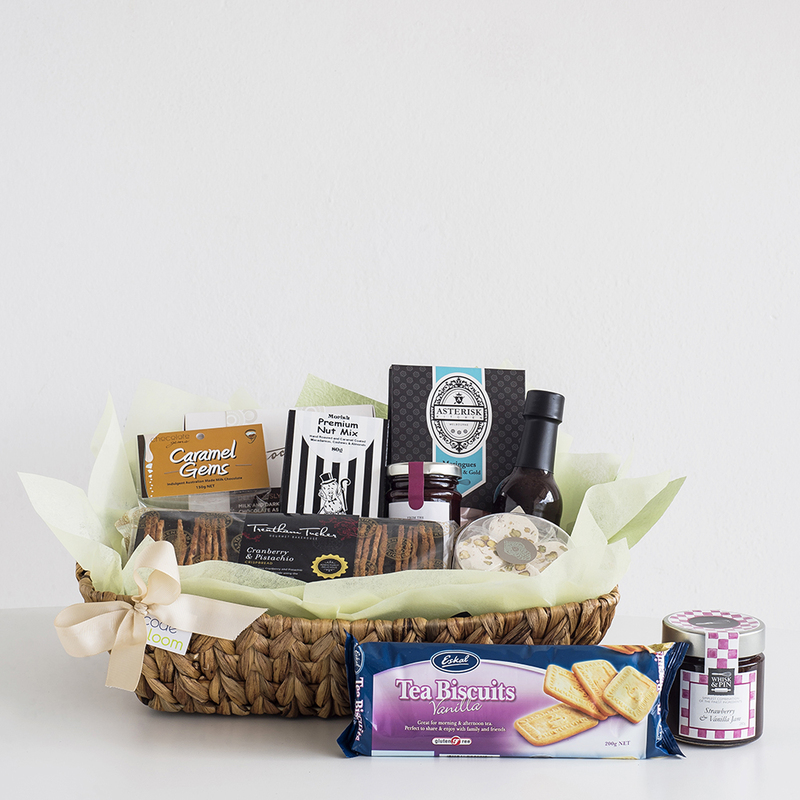 Wine or champagne makes a perfect addition to this hamper. Please note that there may be one or more substitutions of similar products due to availability issues, however your hamper will always be made to an exemplary standard.